Do your fifth graders need math review? Do you have a substitute coming in April? 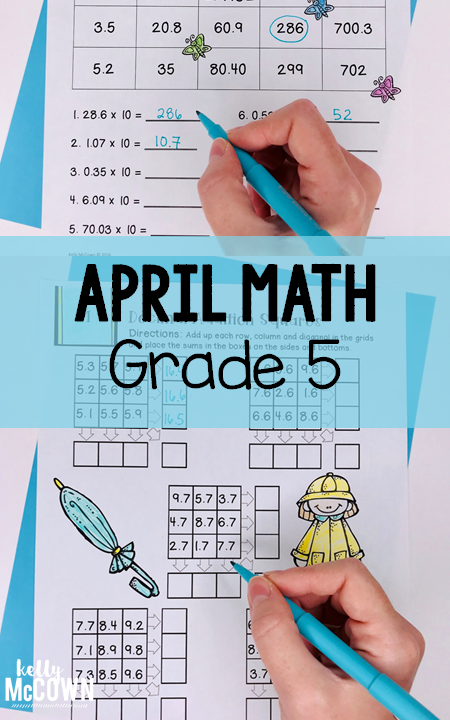 These Spring Math activities will keep your fifth graders engaged! This packet is just plain fun. 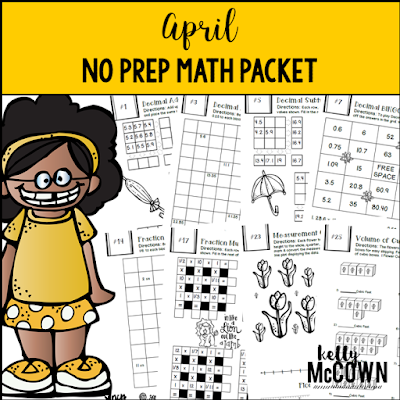 Not only is it PACKED with fifth-grade common core math problems, it also gives students fun coloring, puzzles, and problem solving. Use this packet for bellwork, classwork, extra credit, fast finishers, or homework! Each Spring math activity reviews a key grade level skill. Giving your students the opportunity for math fluency and enrichment in number sense helps all their other math skills flourish. Increasing time to practice math fluency and different math challenges helps students think critically about the math process. 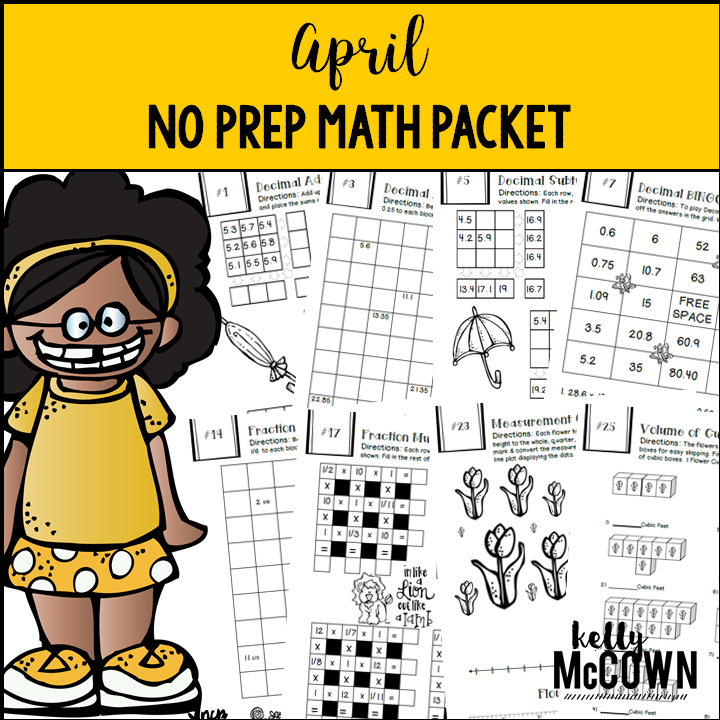 Other teachers have commented, "Used it to make a packet so my kid stayed active over spring break! Thanks!" and "Loved using this for a sub." I hope your students enjoy them too.